Housing enthusiasts seeking a luxurious residence in Mangalore should have a look at Brigade Pinnacle, developed at Derebail, offering seamless living facilities to the residents. 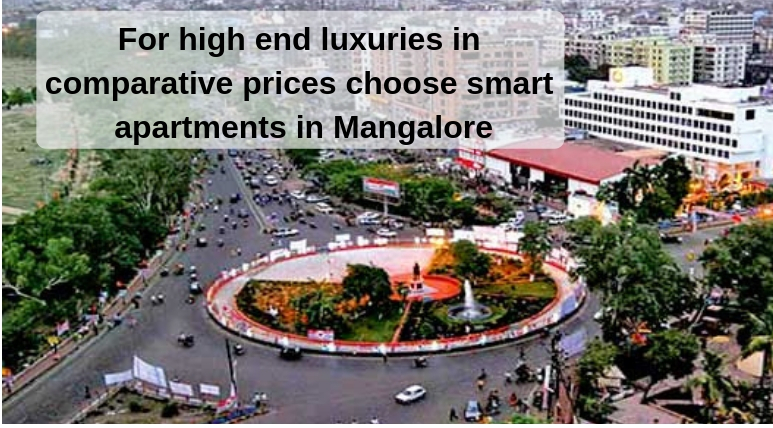 The demand for property in Mangalore is rising over the years, with the increase in its commercial importance. If you are looking for a comfortable abode, close to the commercial zones in Mangalore, you can buy these apartments. The housing complex has been developed over 3.3 acres of land. The residential estate comes with 3 BHK ready to move apartments for the residents. The apartments are loaded with luxury amenities, and you can cherish your housing dreams when you move to these homes. The architectural splendor and intelligent floor planning deliver a refined lifestyle to the residents. Home-lovers looking for an elegant apartment can go for these apartments. The social infrastructure in Mangalore is well-developed. The commercial importance of the city is the key reason behind the high demand for quality homes here. The residents in the estate can enjoy the location advantages of the city, as all the necessary facilities are located within a 10-Km. a radius of the estate. The commercial zones, airport, markets, and schools are located close to the residential complex. People having an inclination for green living facilities will find their dream home in the residential complex. The estate has landscaped gardens and extensive green covers, which will bring you closer to nature. You will enjoy the wide balconies and large windows in the apartments. The apartments are spacious and come with sophisticated furnishings. If you are willing to buy these apartments, this is the right time to make your investment. The prices of apartments in the area are increasing. The Brigade Pinnacle Price is likely to rise in the coming months. You can buy these apartments for commercial purposes or personal use. Investors from various cities in the country are interested in buying these apartments. The transportation facilities in Mangalore are well-developed. The well-connected places in the city ensure swift transportation to important places. The residents can reach their commercial destinations in quick time. Besides, you can get fast access to the places of entertainment in the city. Several markets, restaurants, shopping malls, bars, and multiplexes are located close to the housing complex. You will enjoy the seamless connectivity of the city when you move to the apartments. Mangalore has a number of schools, colleges, and hospitals around. The residents can navigate through the city in a quick time and reach important places in the city. The residential complex comes with a number of lifestyle and fitness amenities. You can enjoy your time in the swimming pool and gym when you move to the complex. Besides, the complex has several indoor and outdoor games facilities. The children can enjoy their time in the dedicated play areas in the complex. For investors and homeowners willing to buy apartments in Brigade Pinnacle Mangalore this is the right time to invest in the properties. The property prices in the region are rising. You can enjoy the sophisticated homes in Mangalore while enjoying the green living facilities, residing close to the commercial zones. 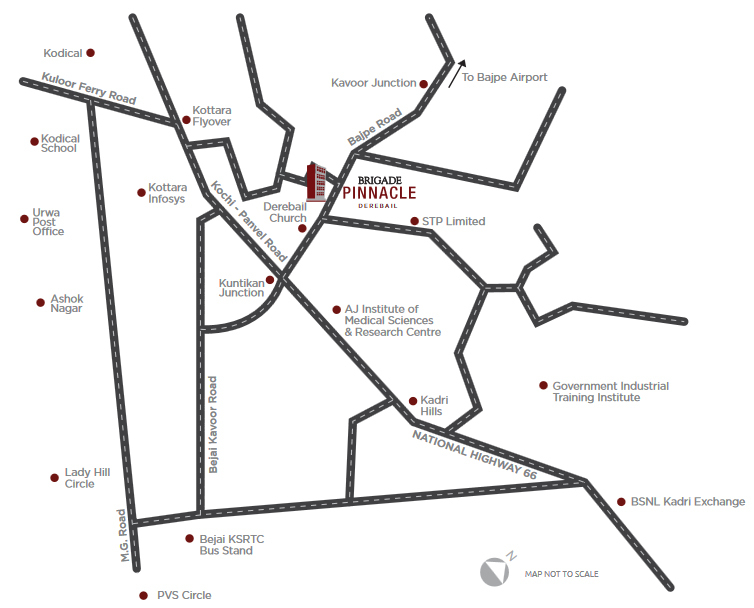 Brigade Pinnacle – State-of-art architecture, pure luxuries! Maybe heaven is the most beautiful and luxurious place. But, we should have to die for that but by remaining alive, we still can feel the same level of supreme comfort and luxury at Brigade Pinnacle Derebail. The property comes with a unique range of outstanding facilities and amenities and the lifestyle here is of the greatest level. The estate is offering ultra-glorious and luxurious BHKs which are completely comfortable and truly magnificent. The site has been planned at a strategic location which comes in the middle of everything. Hassle-free commuting from here to all the important destinations in the city is its biggest advantage. Brigade Group, established in 1986, is one of India's leading property developers. The company is headquartered in Bangalore with branches situated in several urban cities in India. Additionally, the company has a representative office in Dubai. With property improvement as our primary concentration, the group has a particularly assorted multi-space portfolio that spreads property development, property management, hospitality, and education services. its projects extend over noteworthy urban areas in India including Chennai, Bangalore, Chikmagalur, Hyderabad, Mangalore, Kochi, Mysore, Ahmedabad, and Gandhinagar. Brigade Group is driven by the aphorism of time-bound undertakings and quality service towards their clients. Since its inception, the group has been instrumental in empowering finest living, business development and hospitality towards its valued customers. 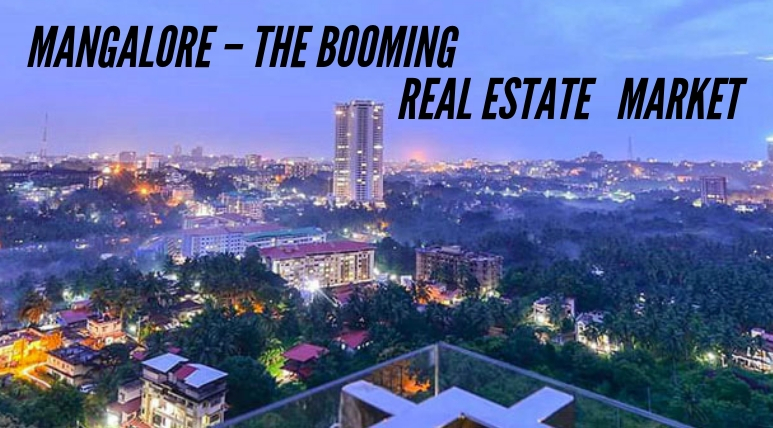 Recently, the group has launched a top-class residential property in Mangalore which is attracting a lot of interest from both home buyers and investors. Land Area - 3 Acres. Clubhouse with a swimming pool and indoor games. The well-planned architecture permeates the indoors as much as the outdoors.